High efficiency: adopt special design for fan blade and motor, low noise, strong suction and stable operation. 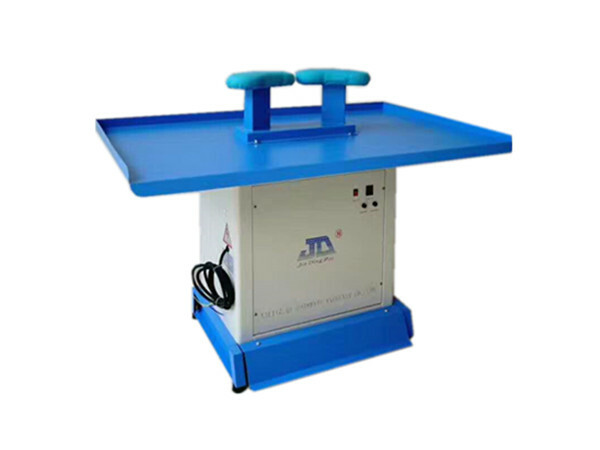 Convenient to use: Equipped with high quality iron arm, convenient to iron collars ; also use energy-saving foot pedal switch to control, easy to operate. Split design: the whole machine adopts separate composite structure, convenient to transport and repair. Table is without electric heating. It is suitable for ironing collars' in all kind of garment.